When she was serving as head of human resources at East Orange, Michele Ralph-Rawls directed a subordinate to increase her pay, according to government documents. Michele Ralph-Rawls wrote a memo to Andrea Lebron, payroll supervisor at East Orange, to adjust her salary. “This employee should be receiving 6-percent effective July, 2016,” Ralph-Rawls wrote in the memo referring to herself. Her memo is dated “June, 2016” – day is missing. She deserved the 6-percent pay increase, through what’s called longevity, for having worked in government for 15 years. She cited working for Newark for almost 12 years and working for East Orange for 2 years and five months. Ralph-Rawls, who was hired by mayor Andre Sayegh’s administration in late September, did not respond to a call for comment on Friday. 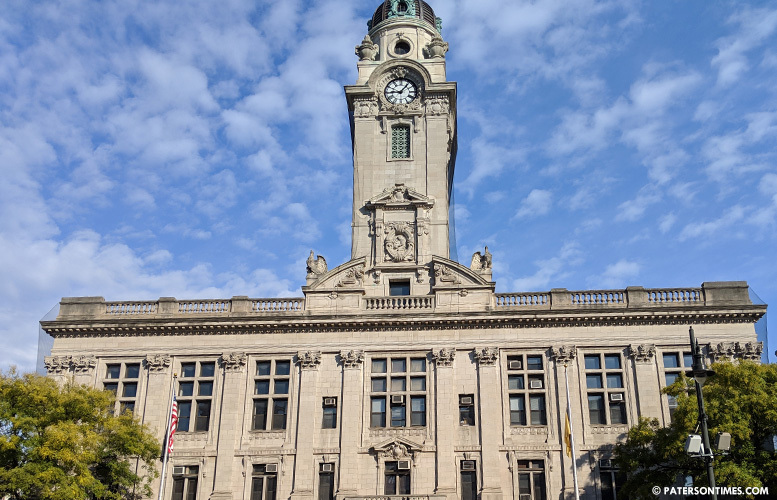 The Essex County town had an ordinance that allowed employees to collect longevity pay after serving more than five years in 2016. The ordinance was later changed to end the practice. “Effective January 1, 2017, all nonunion employees hired on or after this date shall not receive longevity payments,” reads the East Orange ordinance. In 2014, when Ralph-Rawls was entitled to longevity increase, she did not write a memo directing a subordinate to increase her pay. Paula Taylor-Osborn, human resources supervisor at East Orange, sent a memo to Lebron, directing her to increase Ralph-Rawls pay by 4-percent. The 2014 memo stated Ralph-Rawls had 13 years in public service. She left her job at East Orange in August. Ralph-Rawls saw a personnel director job posting from the City of Paterson at the League of Municipalities. She applied and successfully secured the $84,000 job. A month into the new job, Ralph-Rawls, who is also known as Michele Ralph-Taylor, wanted a 6-percent or $5,000 longevity pay increase based on her more than 15 years of working for various municipal governments. Ralph-Rawls managed to get the approval of business administrator Vaughn McKoy, who was unaware of a municipal ordinance barring longevity increases for new employees. McKoy signed off as business administrator and Ralph-Taylor signed off as both division and personnel director. McKoy said the increase never came into effect. Signing off on her own pay increase led to a round of criticism from City Council members. Many condemned her move. Ralph-Taylor’s predecessors have been involved controversies over the past decade. Her immediate predecessor, Abby Levenson faced criticism from council members earlier in the year for working from home. She was approved to work from home two days a week by former mayor Jose “Joey” Torres and ex-business administrator Nellie Pou. Mayor Jane Williams-Warren took over after Torres was sent to prison for corruption. She ordered Levenson to cease working from home and report to the office. Levenson resigned to take another job. Levenson’s predecessor Betty Taylor has been involved in multiple controversies. In 2012, the City Council wanted her fired for her role in the flood overtime scam, where many department directors collected undeserved overtime pay. She survived after appealing the termination with New Jersey Civil Service Commission. In 2015, she was terminated for conduct unbecoming of a public employee. She was accused of misrepresenting her income to secure a loan through the Paterson Pride Program. Taylor appealed the firing with the New Jersey Civil Service Commission. An administrative judge ultimately upheld the termination. Ralph-Rawls, who resides in West Orange, was hired as provisional employee, meaning she can be terminated without the laborious process that kicks in when firing a permanent employee. Before Paterson, she worked as personnel director in East Orange from 2014-18. As deputy chief of staff in Newark from 2008-13. Director of human resources from 2006-08. Director of human resources at Merck from 2000-06. Senior vice president for consumer banking at First National Bank from 1992-98. Director of employment and training in Newark from 1986-92. Human resources manager at Schering-Plough Corp. of Kenilworth from 1983-86, according to her resume. Ralph-Rawls has a bachelor’s in French from St. Peter’s College and a master of business administration in human resources from Fairleigh Dickinson University.